Russian and Eurasian studies (REST) is a multifaceted discipline that aims to give students an understanding of the history, politics, environment, and culture of Russian, East European and Eurasian places, along with proficiency in the Russian language. Students can choose among courses in literary and cultural studies, art history, anthropology, history, geography, Jewish studies, environmental studies, and political science, taking advantage of Colgate’s unusual array of specialists in these diverse areas. Prospective majors, and those with an interest in Russian language, should begin REST 121 as soon as possible. The major requires a minimum of two years of language. Students who continue into advanced Russian are encouraged to spend a semester in Russia on one of Colgate’s approved programs. Courses throughout the curriculum are interdisciplinary and culminate in a senior seminar in which majors pursue a thesis or advanced research topics in a collaborative environment. Many of our students choose to combine Russian and Eurasian studies with a second major or minor in history, political science, international relations and other fields. Recent graduates have found work in government, journalism, law, NGOs, education, finance, and many other fields; some have gone to the Peace Corps, and a significant number have pursued graduate study. Students with two or more years of high school Russian, and students who have taken an introductory level summer session course at another university, will normally matriculate into REST 122 or REST 201 . Students with such previous Russian study, transfer students with coursework in Russian, and students from Russian-speaking families (heritage speakers) should consult with faculty for advice on placement. An average of C (2.00) is required for graduation in the major or minor. 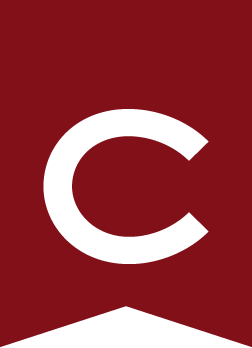 All REST courses taken at Colgate are counted toward the cumulative grade. The Robert L. Murray Award in Russian and Eurasian Studies — awarded by the department for excellence in Russian and for demonstrating high intellectual standards and originality in Russian and Eurasian studies at Colgate. The Anton Chekhov Prize — awarded by the department for excellence in Russian and for demonstrating high intellectual standards and originality in Russian and Eurasian studies at Colgate. The Richard Sylvester Award for First-Year Students — awarded by the department to a first-year student who has demonstrated superior progress and promise in Russian and Eurasian studies. A minimum overall GPA in the major of 3.30 for honors and 3.70 for high honors is required, plus a written thesis of 40 to 60 pages. Students who write an honors thesis are required to complete an honors independent study (REST 490 ) in the semester following the senior seminar. The Russian and Eurasian studies faculty and Off-Campus Study/International Programs have collaborated to identify a small number of approved programs for students with at least two years of college Russian who wish to spend a semester in Russia. Two course credits toward the major or minor can be earned through study in Russia. Consult with the Russian and Eurasian studies faculty for further details.